Soldano Ferrone received his MD and PhD degrees in 1964 and in 1971, respectively, from the University of Milan, Milan, Italy. 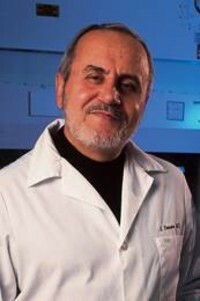 He has held faculty positions at the University of Milan, Milan, Italy, Scripps Clinic and Research Foundation, La Jolla, CA, Columbia University, New York, NY, New York Medical College, Valhalla, NY, Roswell Park Cancer Institute, Buffalo, NY and at the University of Pittsburgh School of Medicine, Pittsburgh, PA. Since 2012 he is a faculty member of the Department of Surgery at Massachusetts General Hospital, Harvard Medical School, Boston, MA. Dr. Ferrone has received many awards and honors. For the last 30 years he has been the member of many review committees including NIH Study Sections, and of the editorial boards of many scientific journals. Furthermore he is the member of several external scientific advisory boards. He has described the results of his studies in more than 600 papers published in peer reviewed journals. Moreover he has been the editor of 14 books and the guest editor of 5 special issues of oncology journals.